Every month we’ll be bringing you a new design idea, an easy and inexpensive way to update an outfit or show you how to make a simple accessory. This month we’re showcasing Vintage Style Cuffs – amazingly versatile accessories which can be worn individually or as a pair, under a long or short sleeved jumper or a top. They are absolutely perfect for transforming your outfit from office chic to evening glamour. You can make cuffs from printed, plain or pinstriped fabrics, trim them with cotton laces, ribbons, buttons and even charms. You can also cut up vintage lace table linen to make gorgeous one off cuffs. Take a look in your wardrobe for any old bits of clothing you don’t wear anymore that have an interesting trim or detailing and cut the clothes up for the base of your design. 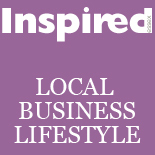 This entry was posted on July 17, 2012 by inspiredessex in Beauty & Wellbeing, Chatty, Ladies Fashion, Ladies Time Out and tagged Chelmsford magazine fashion, Elizabeth Mulholland, Fashion suffolk, Inspired Essex Magazine.